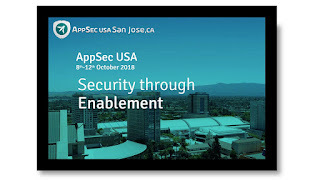 AppSec EU Conference Program Coming Soon! AppSec EU 2-6 July London, England will take place at the very modern and well located QEII Centre. The committee is reviewing the conference presentations and training submissions preparing for what we believe will be a very positive learning, networking and engaging conference. Plan to join the community in London. Registration is now open! We look forward to seeing you in London!